Check out if Habitat for Humanity is in The Top 100 NGOs 2013 Edition! Building simple and affordable housing. 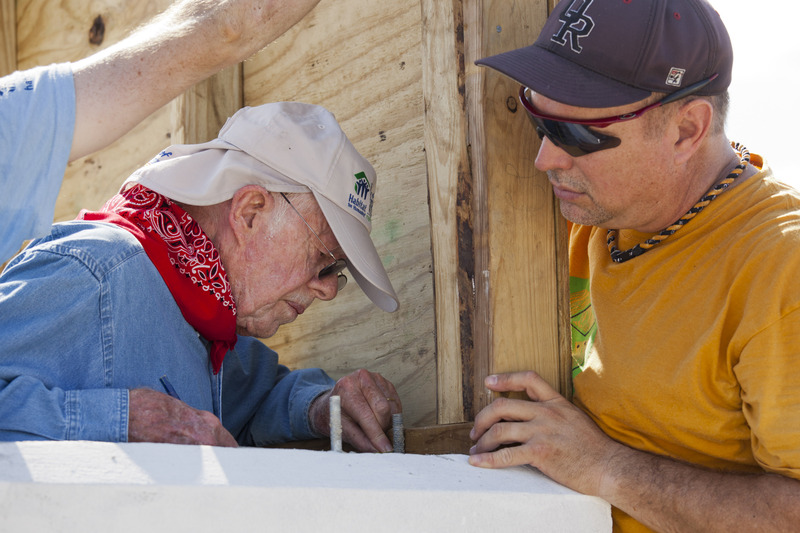 Habitat For Humanity came into fruition at the hands of Linda and Mullard Fuller. Fuelled by the principle of ‘partnership housing’, the couple began the Fund for Humanity in the late 1960s to build not-for-profit houses alongside families in need. After applying the concept for three years in Mbandaka, they founded Habitat For Humanity International in 1976. The Habitat For Humanity model is cyclical. Homeowners – offered affordable loan terms – place down payments and pay monthly mortgages. In addition, they commit anywhere from 300-500 hours of labor towards the construction of their homes or another house delivered through the program. Mortgage payments flow back into the Habitat For Humanity framework, thereby supporting costs of future buildings. In lower income countries, the organization partners with microfinance institutions providing additional flexibility through programs such as ‘Save and Build’ – in which group savings are matched by Habitat For Humanity funds to build houses for members – and ‘Building in Stages’ – where houses are built gradually with small loans paid in increments. Today, Habitat For Humanity International operates throughout every state in the United States and in 100 other countries around the globe. The nearly 40-year-old program can claim responsibility for overseeing the housing of more than two million people.